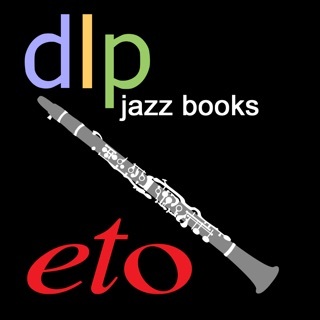 eto apps has added a new dimension to the Dallas School of Music dlp Jazz Books. 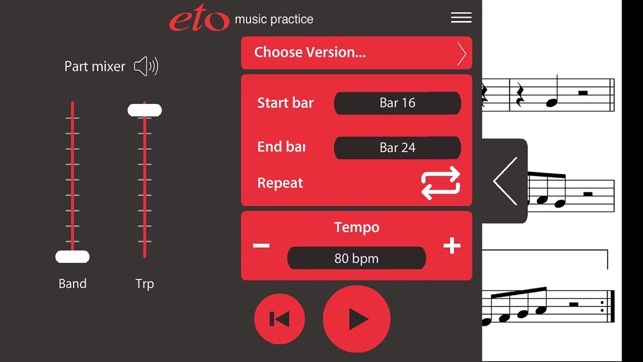 The app gives music students an incredible practice tool by allowing almost complete control of the playback on dlp’s backing tracks- including the melody only tracks. 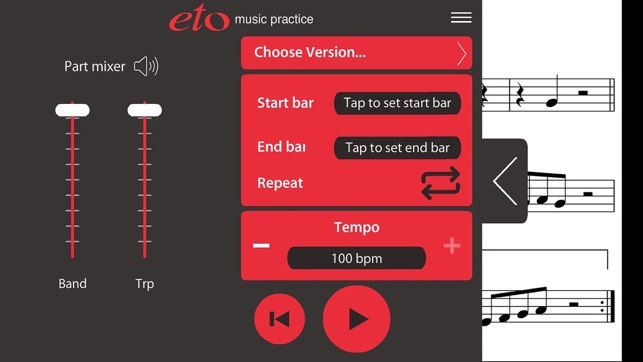 The eto folks have done a great job of giving learners the ability to control their practice routines and practise at their own pace, working gradually up to each performance tempo. 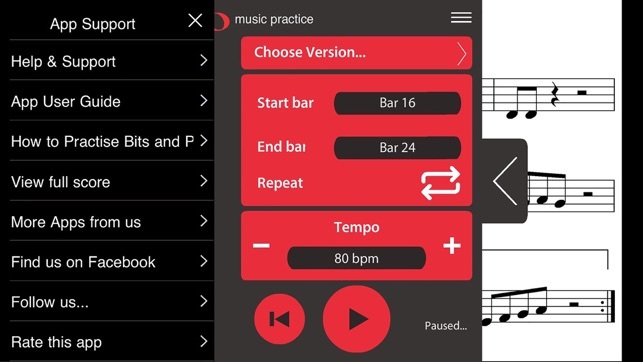 The new app also allows users to isolate and even loop any trouble areas of a song and that makes music practice much more fun and productive. 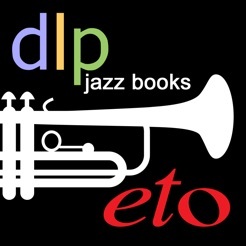 The app’s music basis is the tried, tested and well respected playalong material of the Dallas Music School (dlp) Jazz Book series; Trumpet Level 1. 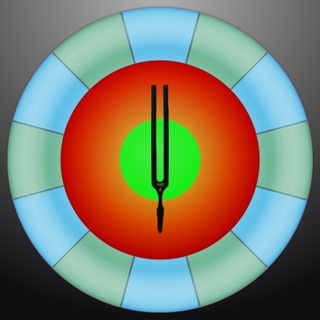 This app contains the three Bits and Pieces songs with each version having its own variation of the melody and different backing track. 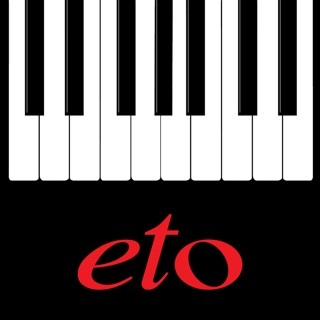 A full, real live jazz combo is there with which you can practice and play 24/7. 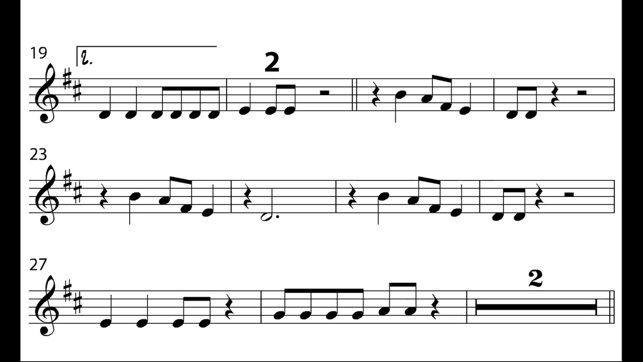 The first, Bits and Pieces 1, has a range of notes from D to B (trumpet pitch) and is a really cool melody with swing 8s. 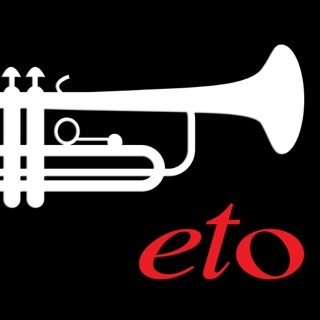 Bits and Pieces 2 pushes you to play E to D (trumpet pitch) with a more rhythmically sophisticated melody in a Latin feel with straight 8s. The third Bits and Pieces 3, has a Latin straight 8 feel first time through and a cool swing second time. The note range is the same as Bits and Pieces 2 but you are extended because there is a more chromatic flavour to the new melody….introducing you to to some sharps and flats. 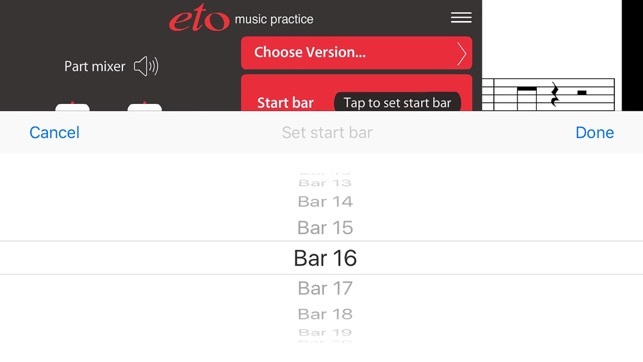 Don’t worry …as was at the beginning you can slow up the melody and the backing track, isolate difficult sections and work at your own pace…with or without the melody playing, with or without the accompaniment playing.